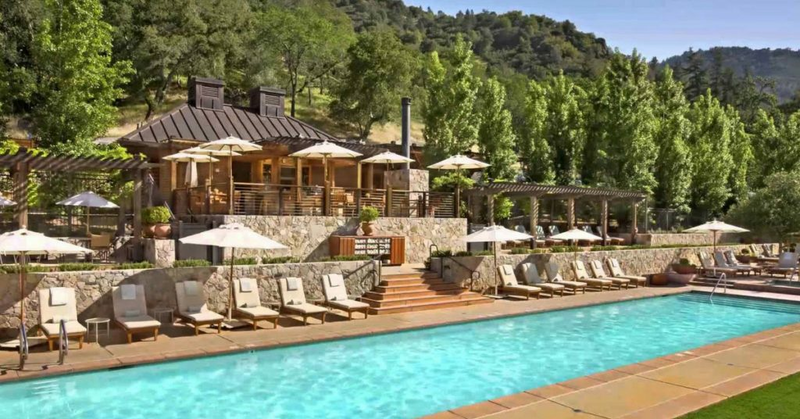 Four years after being purchased for $50 million by Auberge Resorts, Calistoga Ranch is back up for sale. The 50-room luxury resort is expected to sell this time for about $100 million. Calistoga Ranch, originally built in 2004, is located on 157 acres on Lommel Road. 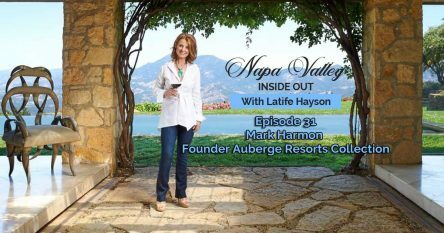 In 2013, Auberge Resorts and a group of partners made the Calistoga real estate purchase from Olympus Real Estate for about $50 million. The resort’s 50 rooms are all free-standing lodge units featuring several luxury amenities including outdoor living rooms, showers and hot tubs. Rates range from $685 to $4,250 per night. The property offers a fine dining restaurant and bar and a pool side restaurant, spa, nearly 15,000 square feet of indoor and outdoor event space, an indoor/outdoor fitness center, yoga deck and two outdoor pools. The resort also boasts an on-site vineyard, wine cave, hiking trails and close proximity to many prestigious wineries. They also have a permit for weddings. Calistoga Ranch has 23 owner lodges which are separate and not included in the Offering. 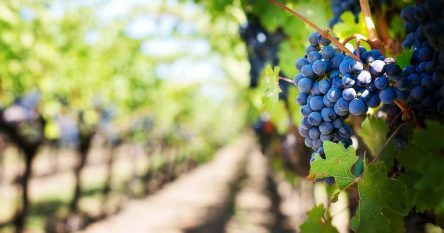 Napa Valley is one of the strongest and most sought-after lodging markets in the country, known for its high barriers to entry and limited supply. When the Four Seasons Resort, to be named Calistoga Resort, and the Rosewood Hotel open in the next 2 to 3 years, Calistoga will have more luxury hotels than any other town in Napa Valley. Calistoga real estate is an especially smart investment right now, being the only town in Napa Valley where the average sale price is on the rise, and not in an insignificant way. The property is a “crown jewel in the heart of the Napa Valley,” according to John Strauss, international director with Jones Lang LaSalle’s Hotels & Hospitality Group, the company handling the sale. 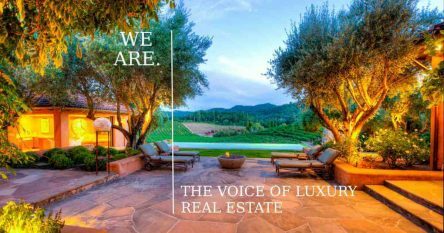 If you’re interested in Calistoga real estate, I have access to some extraordinary wineries, vineyards, estates and homes that are not on the open market and would be delighted to help you find your dream wine country property. You can reach me at 707-738-4820 or [email protected].